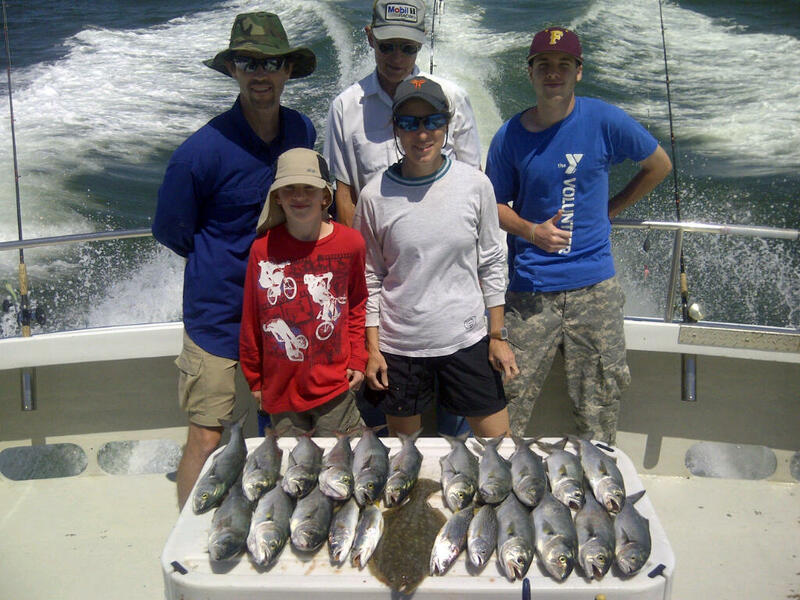 Grey trout (weakfish, sea trout) are available from late April to November in the Chesapeake Bay. The largest concentrations are around the structure of the Chesapeake Bay Bridge Tunnel. Trout fishing involves jigging and live baiting. These fish range in size from 1 -12 pounds.